The majority of the songs I have are individually purchased or downloaded songs, not complete albums. In the categories "Recently Added" and "Downloaded" iTunes shows under the album artwork the name of the album and the artist. It would be much more helpful, if the name of the song and the artist would be shown. I cannot find a preference setting for changing this. Is there a way to change the info which is displayed by iTunes? I can't answer your question fully or strictly within the bounds of you asking it, but I have a workaround that can at least give you what you want in some fashion: smart playlists. Tweak the time period and number of items to taste. Switch to Songs view: highlight the new playlist, View -> View As… -> Songs. You'll need to sort by Date Added (click the Date Added column to toggle sorting by ascending and descending) after all this to ensure you mimic the Recently Added feature in Library. It's close, but not an exact match for what you want. The View -> View As… approach is not currently available for the Recently Added option in Library. How is genius info stored, and will editing a track's info change this? 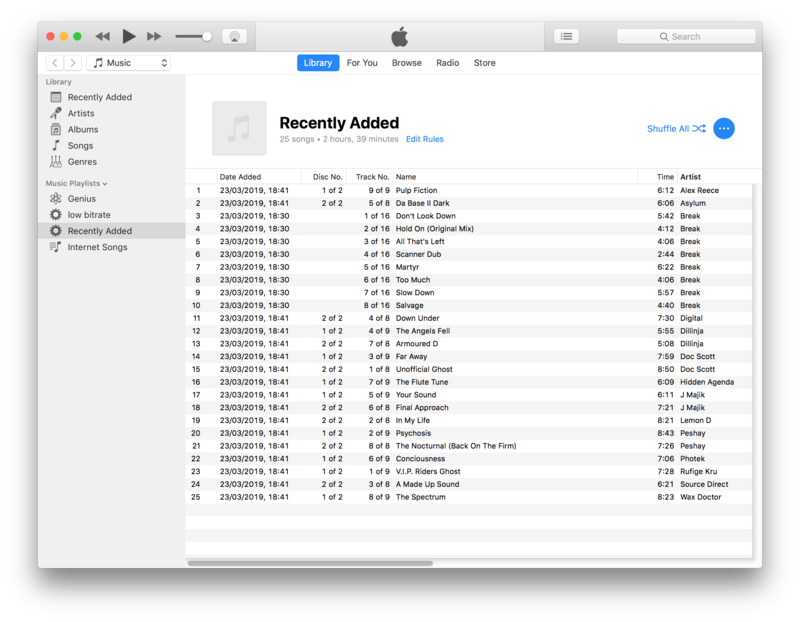 Can one still sort By Album By Year in any of the views in iTunes 11? How do I remove duplicate albums from my iPhone 5's music app? 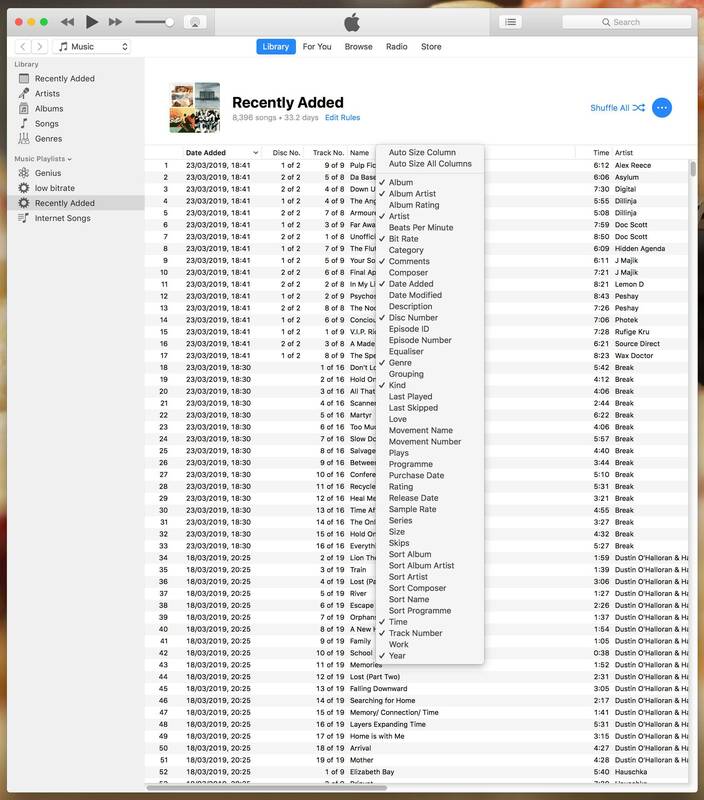 How can I view recently added songs in iTunes grouped by Album like the Songs view does? How to change the Equaliser settings of each and every song in my iTunes library all at once?